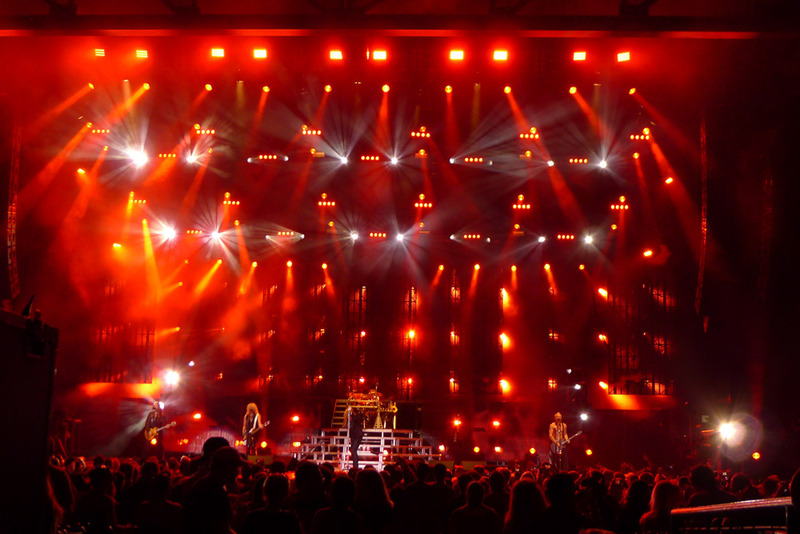 Upstaging supplied a large Martin Professional MAC rig for the summer US leg of Def Leppard’s current “Mirrorball” tour, a classic rock ‘n roll rig that included MAC 2000 Wash XB™, MAC 2000 Beam XB™ and MAC III Profile™ moving heads along with MAC 101™ LED fixtures. Although Ohashi says he appreciates good, reliable equipment, it is the lighting crew that works with and maintains the equipment on a daily basis that gets his special recognition. The overseas leg of the Def Leppard tour continues through December.